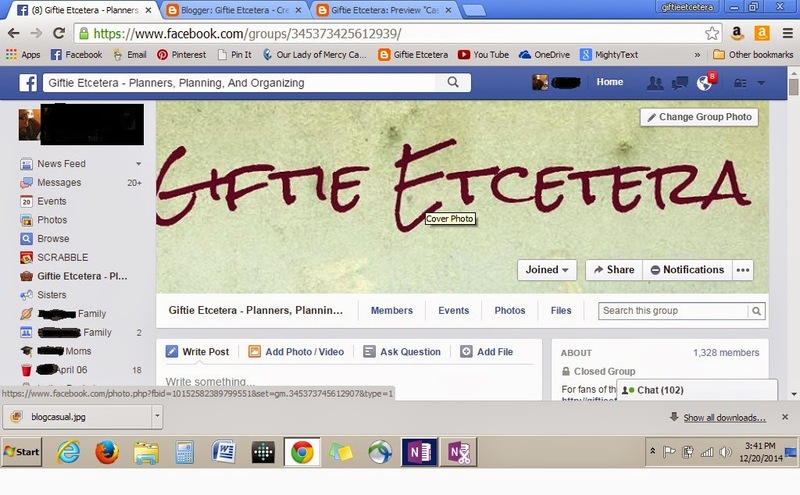 If anyone has missed the memo, I do run a Facebook group about planning and organizing. Click here to join. It doesn't replace my beloved Facebook groups for exploring planners, but is a little different, in that we talk about planners, e-planning, organizing, and time management in general. Along with the blog comments (which I do read and reply to), it's a place to ask my Loyal Readers and me questions about life management, to share planning wisdom, and to think about the choices that we all make every day. Join us and post your questions or dilemmas so that we can help you solve them.